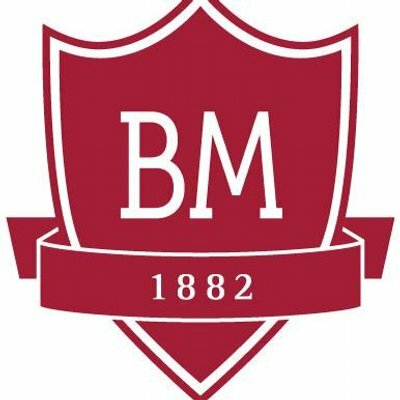 Owned by the same family since the school’s foundation in 1882, Brillantmont is a leading Swiss boarding and day school, offering an internationally recognised programme. It welcomes 100 boarders and 30 day students from aged 13-18 into Grades 8-12. Over 30 different nationalities are represented and the school applies quotas to ensure a diverse student body. Living amongst so many nationalities enables students to learn about other cultures, speak new languages and develop a global network of contacts. Brillantmont is in the centre of Lausanne, overlooking Lake Léman and the Alps. It is spacious with excellent, up to date facilities, including an incredible multipurpose hall offering a full-sized gymnasium and a 100m2 stage area. Accommodation is of the highest standard. Brillantmont has been fully accredited by NEASC and CIS for over 30 years. The small size of the school ensures that the student remains the focus of all that is offered, both academically, but also in terms of personal development. The average class size is 9 students, the maximum class size is 15 students. This creates a stimulating learning environment, reflected in the excellent examination results. Brillantmont prepares students for US examinations (with SAT) and British examinations (IGCSE, A Level). On completion of their studies, Brillantmont students enter top-ranking universities across the world. A strong extra-curricular programme covering sports, creative, humanitarian and critical thinking activities enables students to develop strengths and talents beyond the classroom. The school takes advantage of its location in the heart of Europe to develop a sense of internationalism through trips to neighbouring countries and through language acquisition. Outstanding pastoral care, excellent facilities and spacious accommodation help create a home from home in which students feel part of the Brillantmont family, no matter how far from home they are. The Summer Course in July and August welcomes boys and girls aged 10-17. Every morning, small classes in French or English ensure lots of teacher attention. In the afternoons, students play a range of sports (volleyball, tennis, soccer, trampolining, zumba, paddle and many more). Evening activities include roller blading, ice skating, bowling, cinema and disco. A full day excursion takes place every Sunday (glacier walking, rock climbing, tree circuits). The minimum stay is 2 weeks and students arrive and leave on a Saturday. Students are supervised 24h/24h by a caring team and live in outstanding accommodation, sharing a room with someone of a different nationality. With students from all over the world, Brillantmont Summer Course is a great opportunity to make friends, have fun and have a summer to remember !